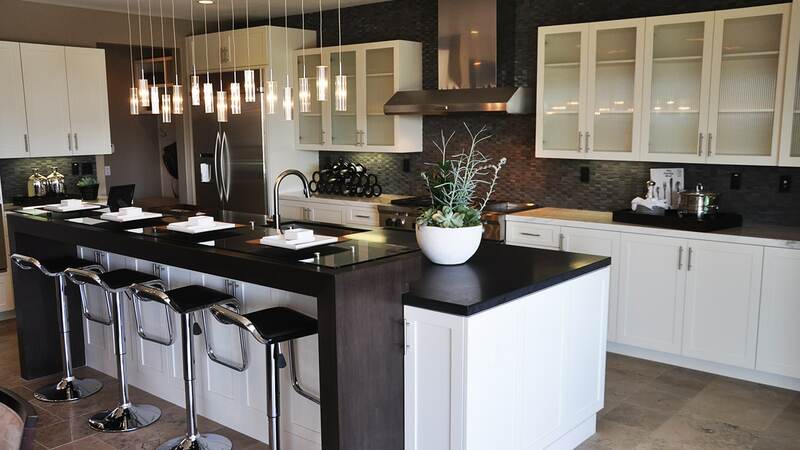 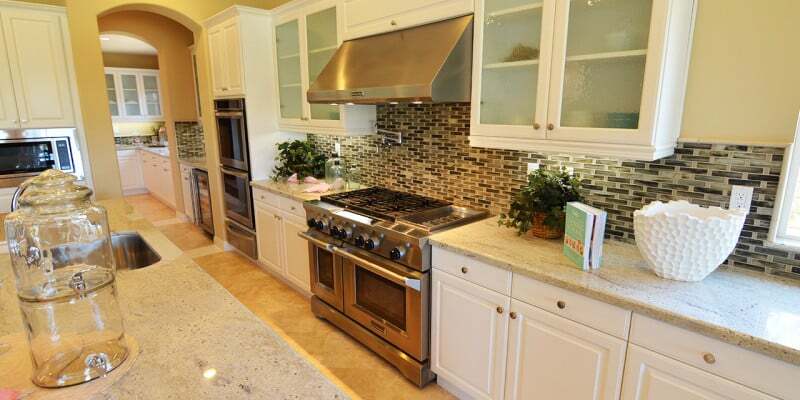 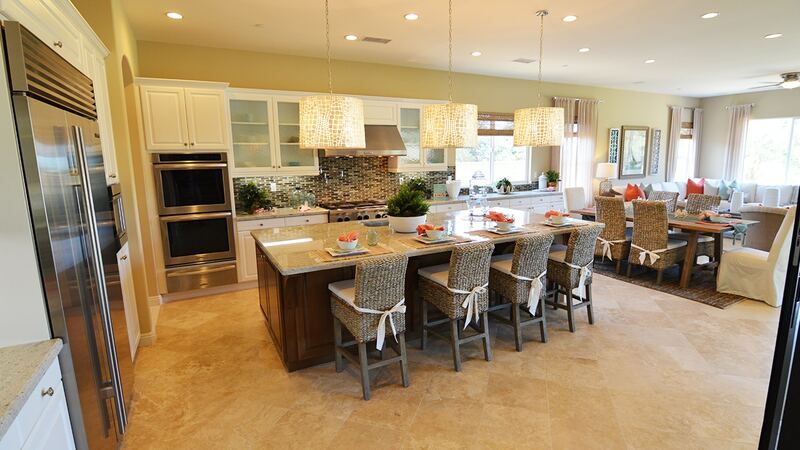 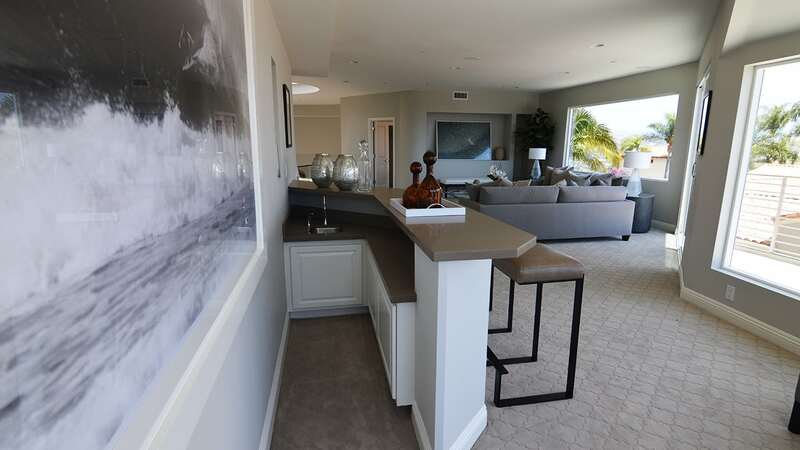 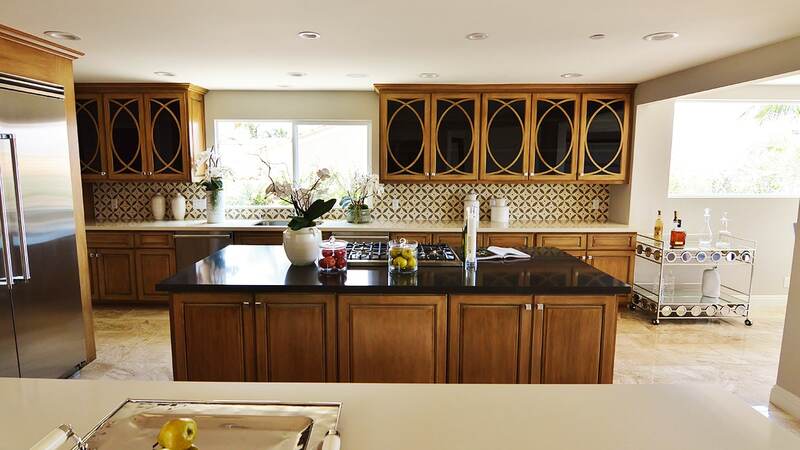 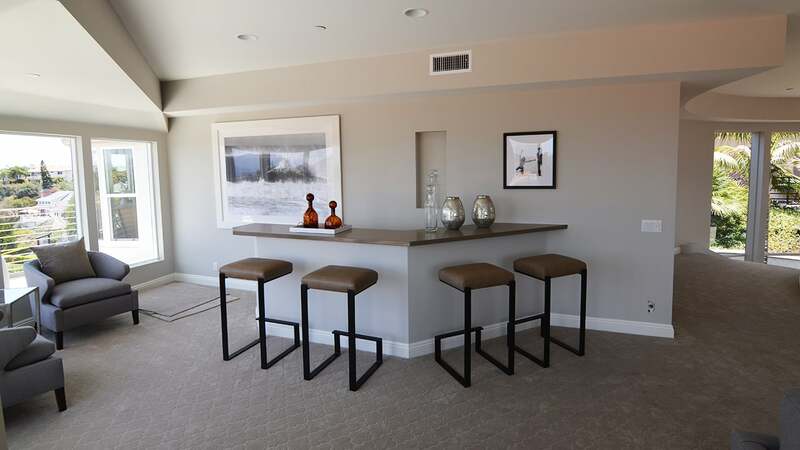 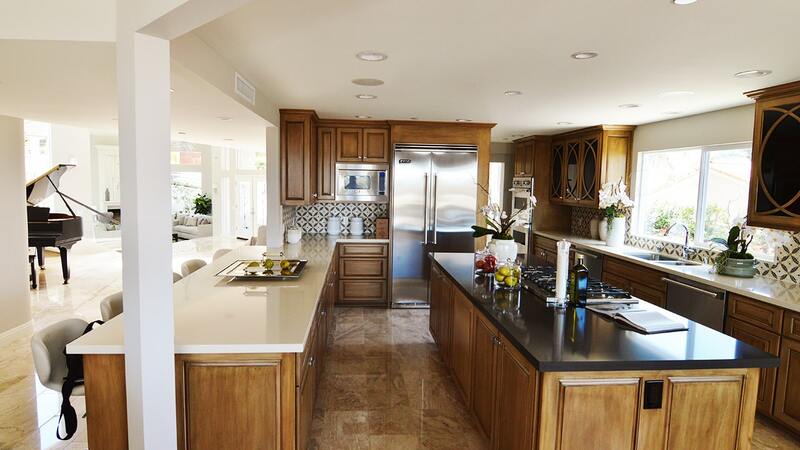 This gorgeous newly constructed home in Aliso Viejo incorporates two islands in the kitchen, one set up as an eating bar and the other for preparation. 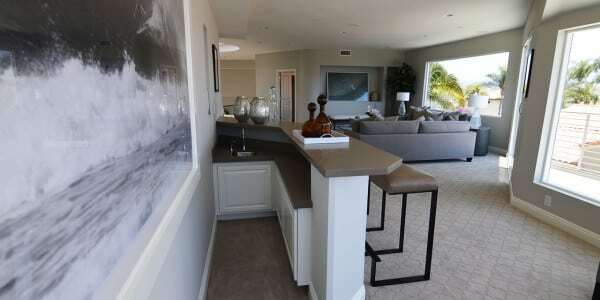 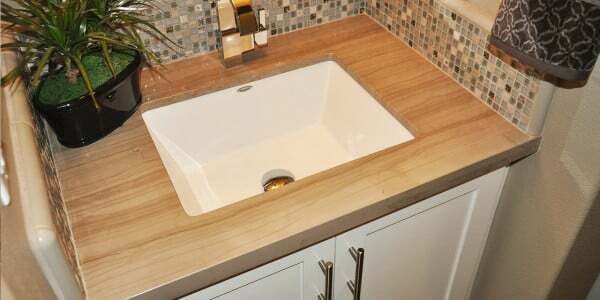 The prep island also integrates a waterfall edge. 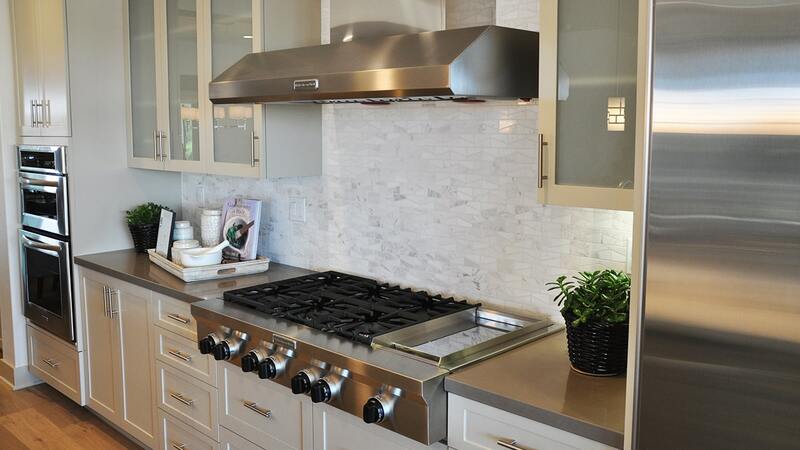 The backsplash is an angular mosaic made with Carrera marble. 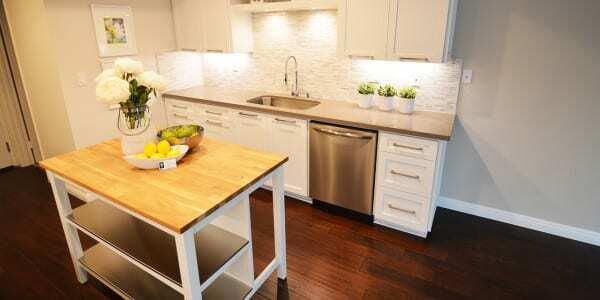 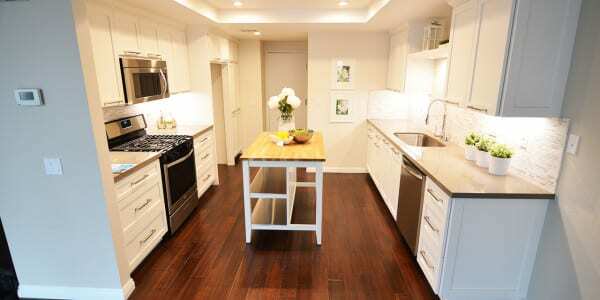 The cabinets are two tone, white for the base cabinetry and a light gray for the uppers. 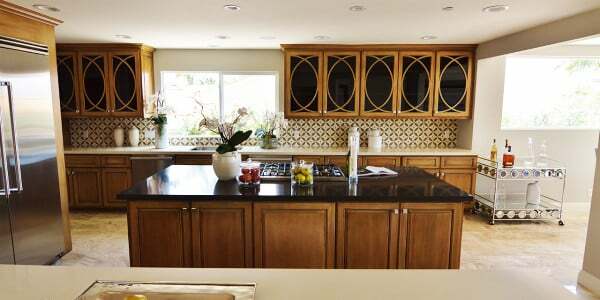 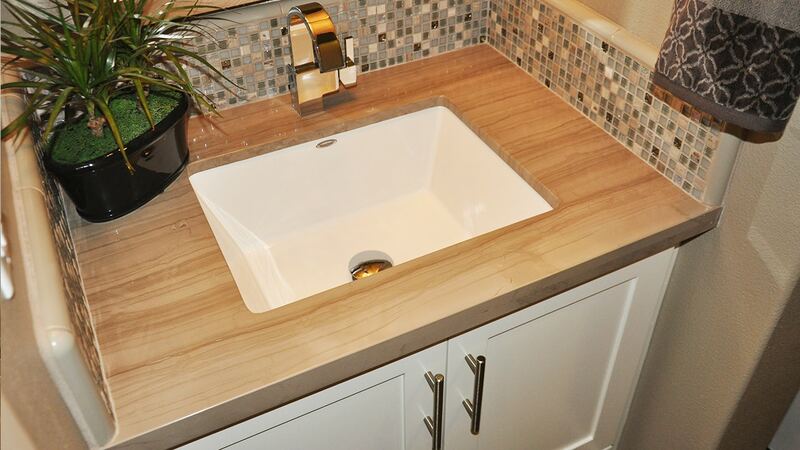 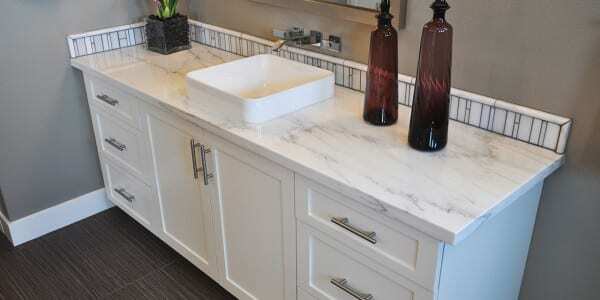 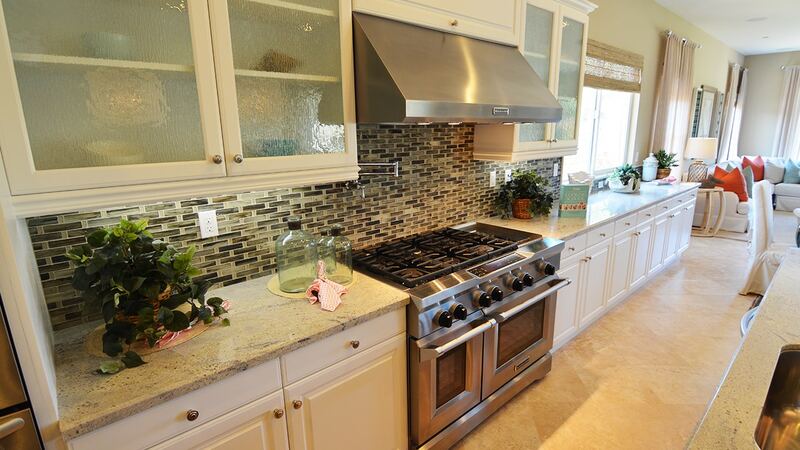 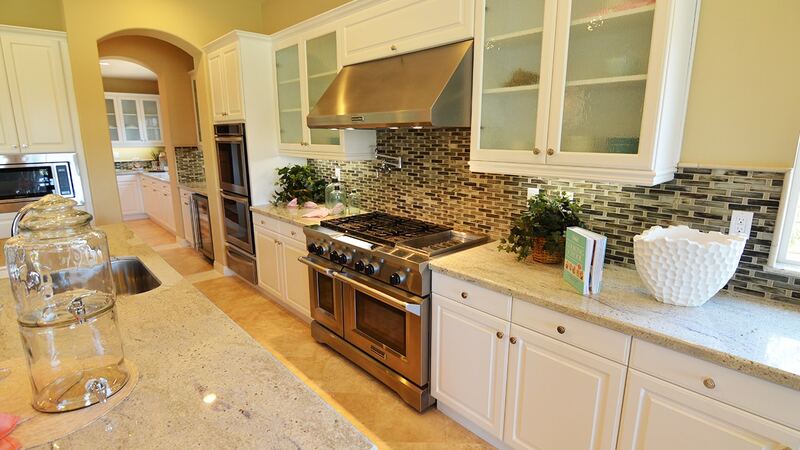 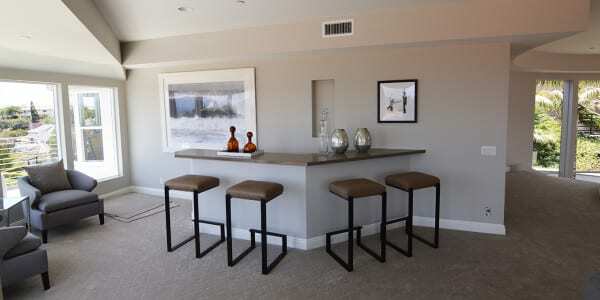 Custom opaque door inserts give the upper cabinets a very customized and polished look. 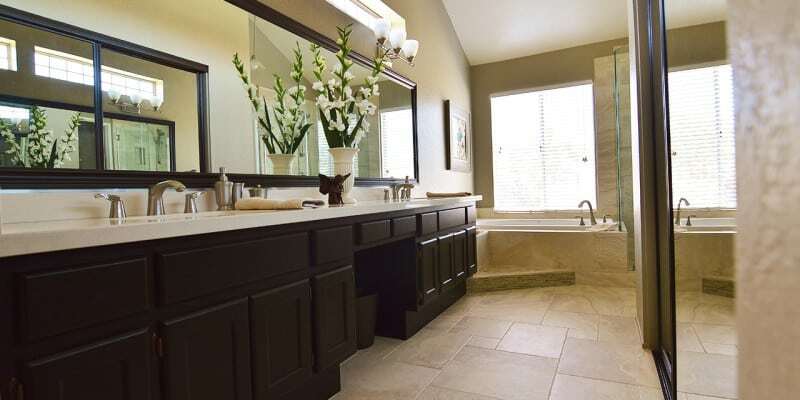 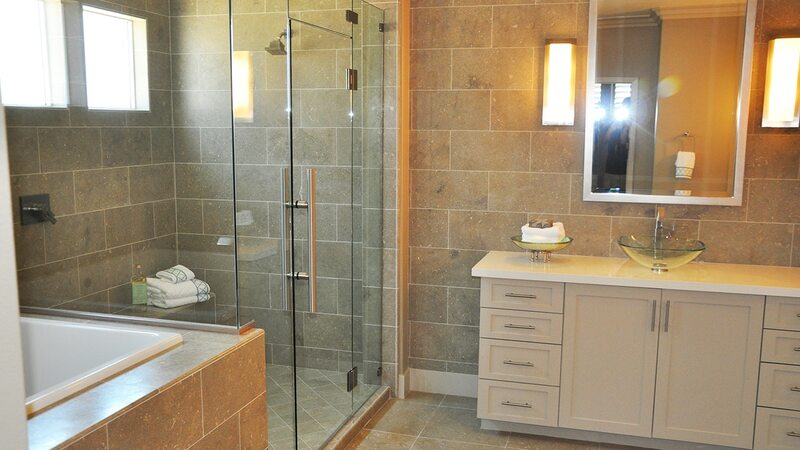 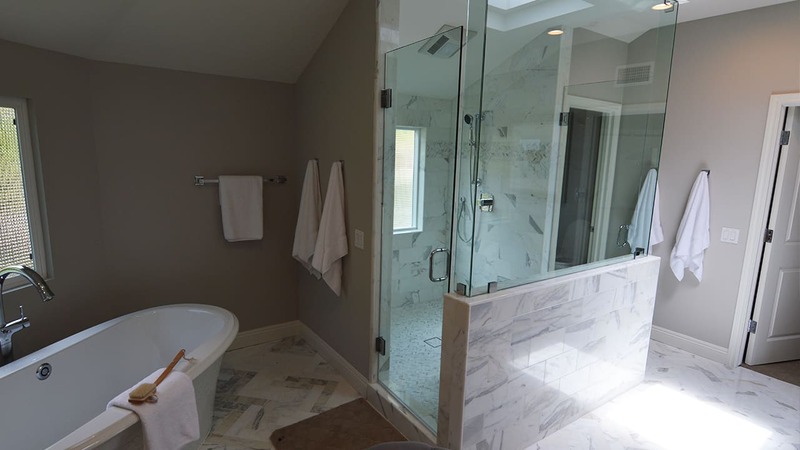 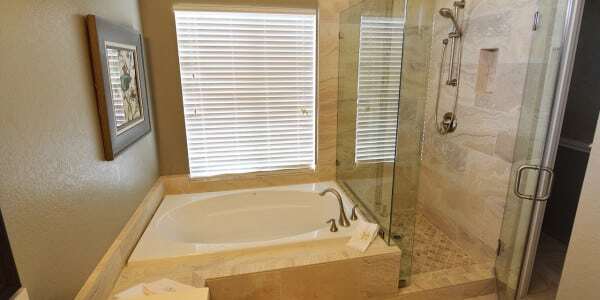 The master bathroom has a deep tub which fits in a small space and the shower and vanity walls are accented by limestone. 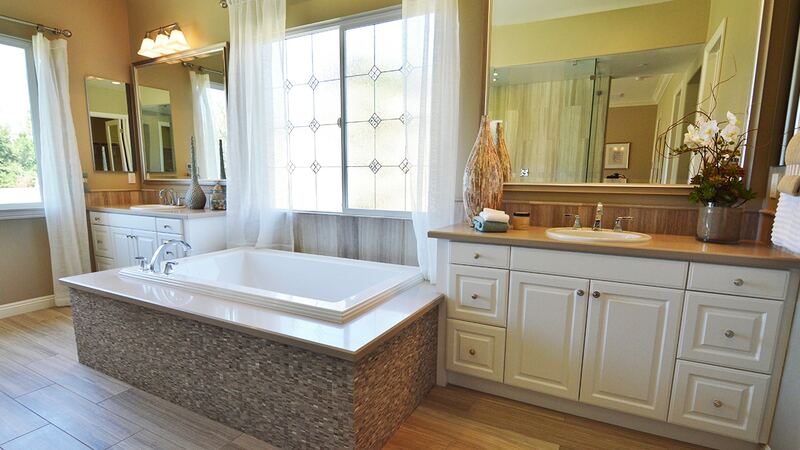 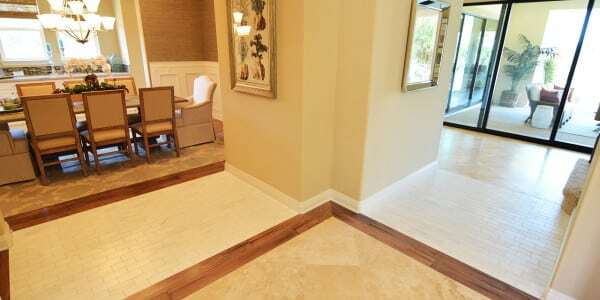 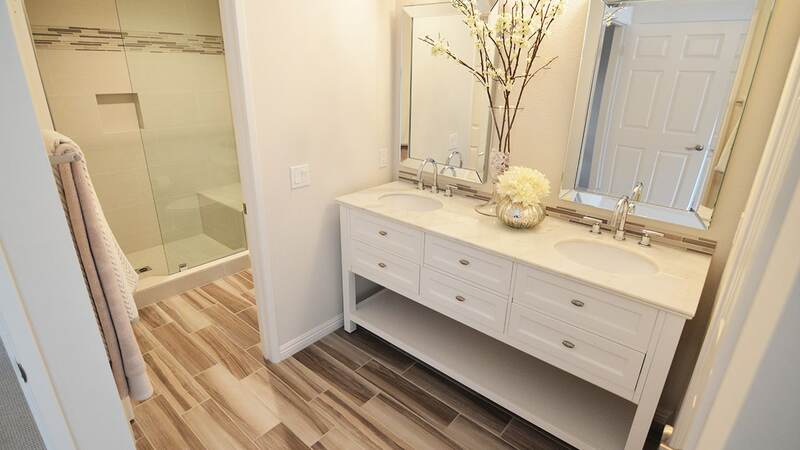 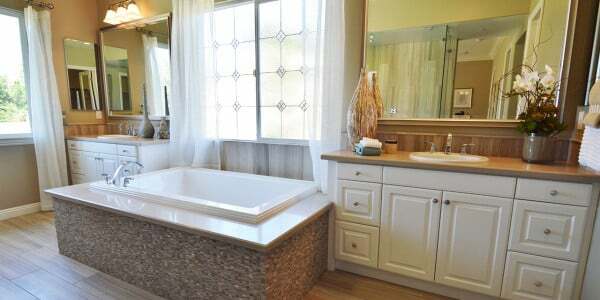 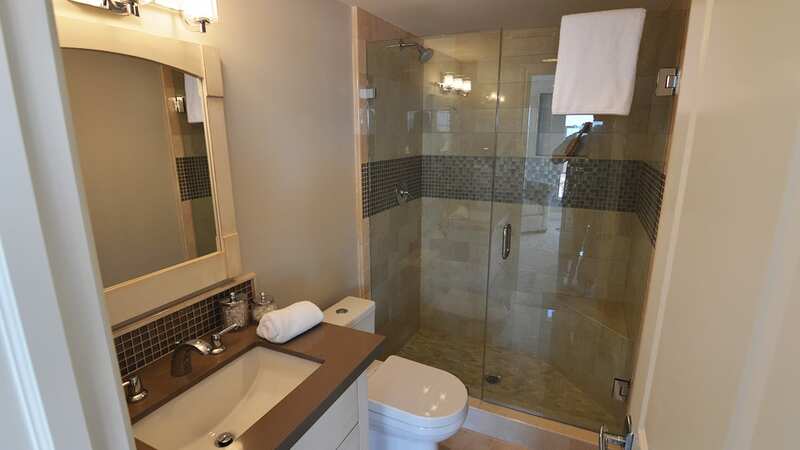 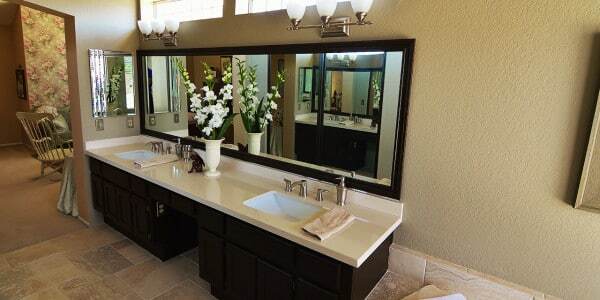 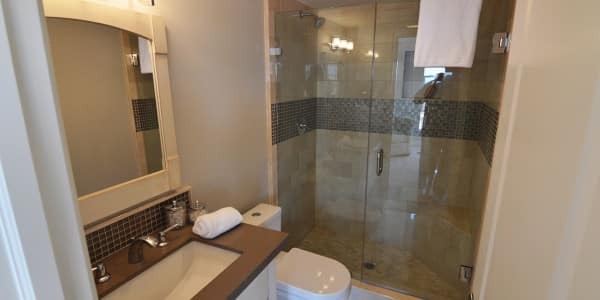 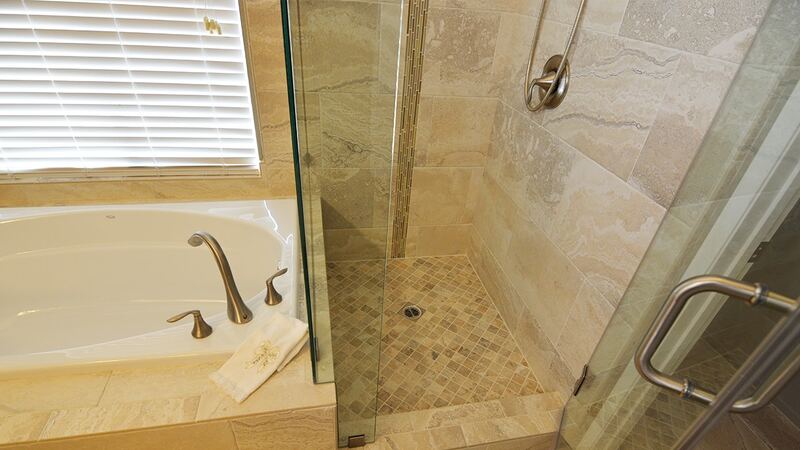 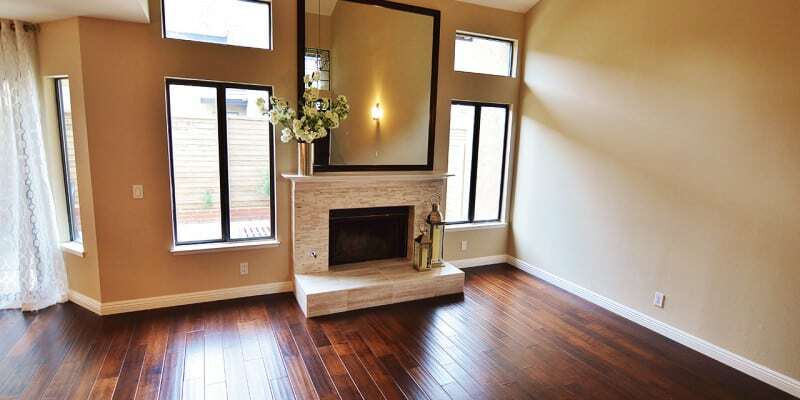 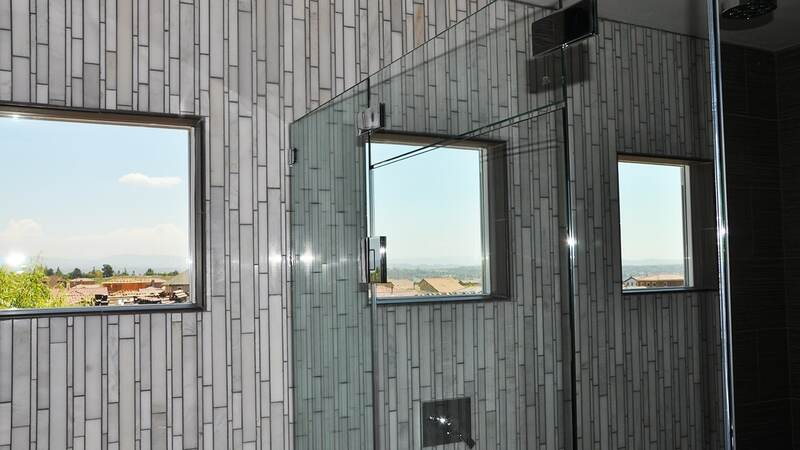 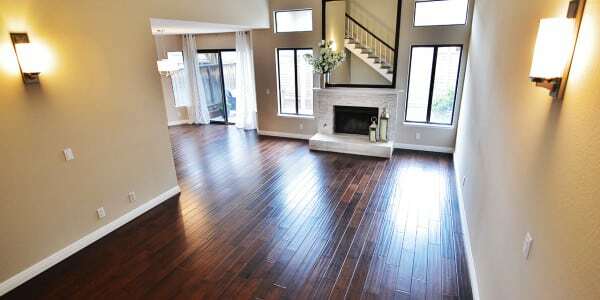 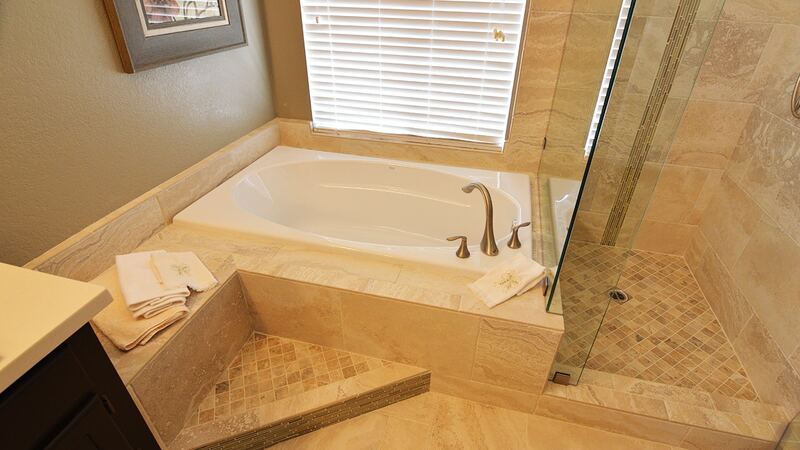 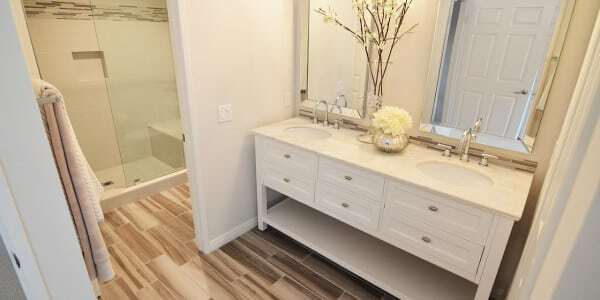 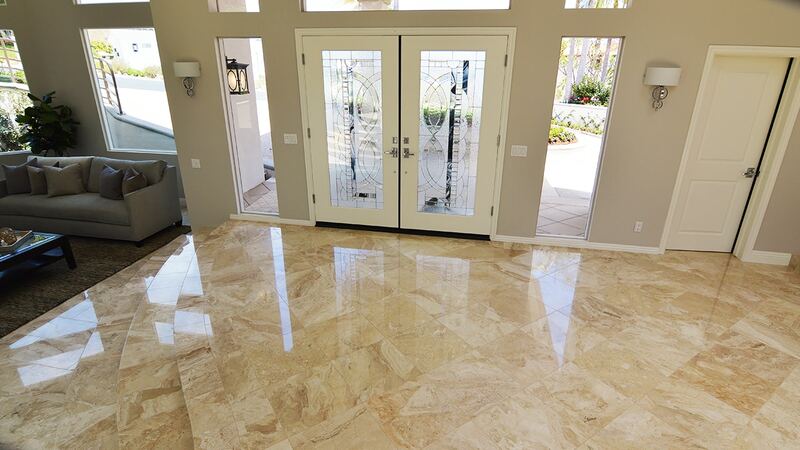 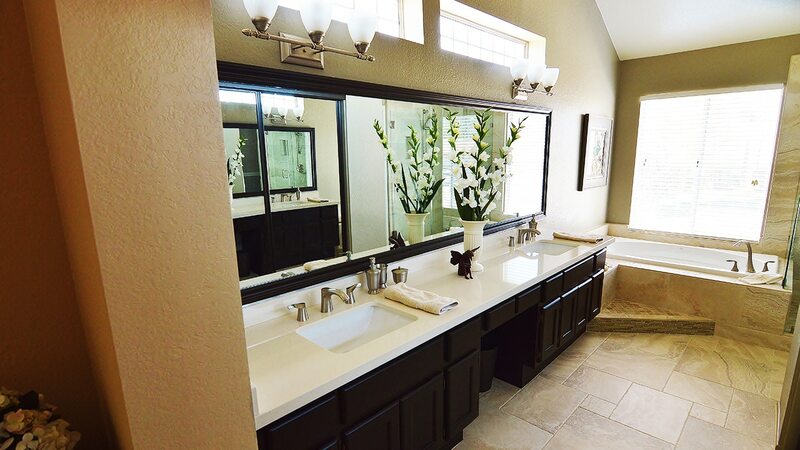 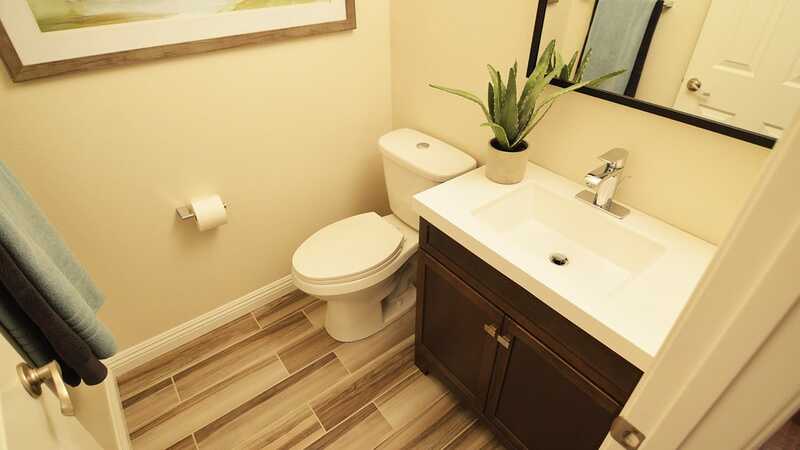 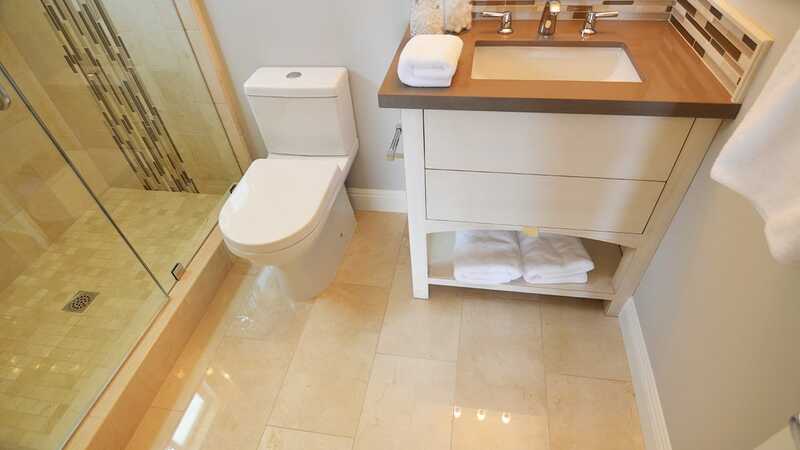 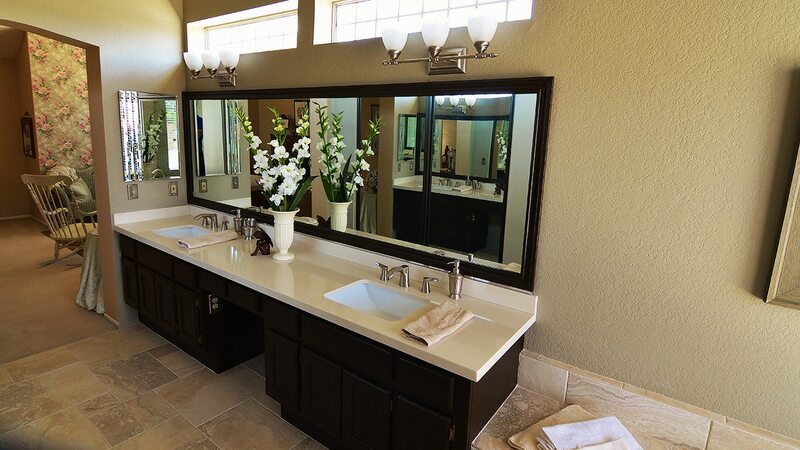 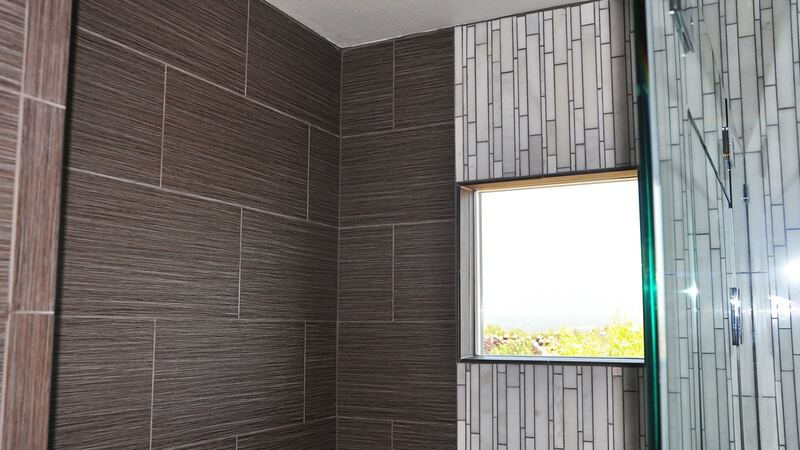 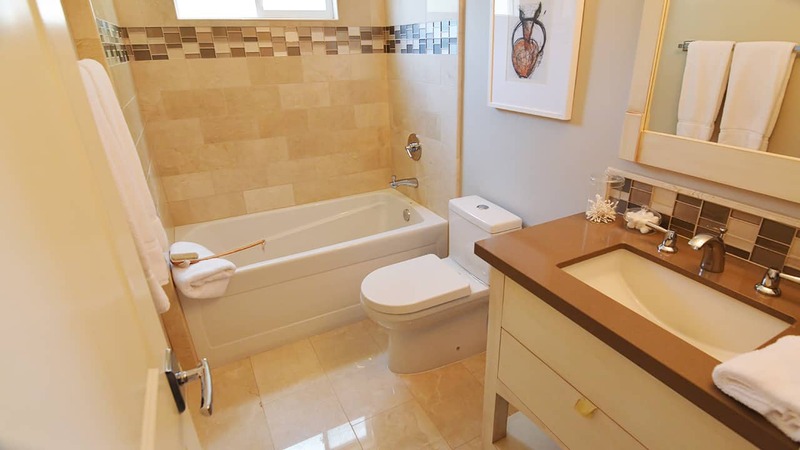 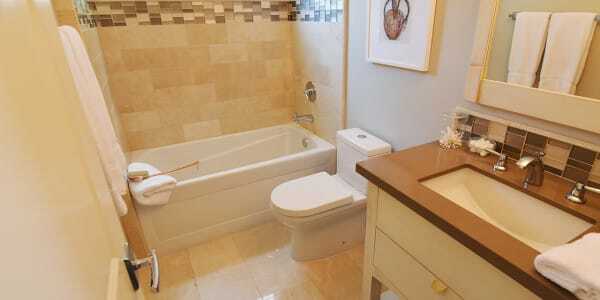 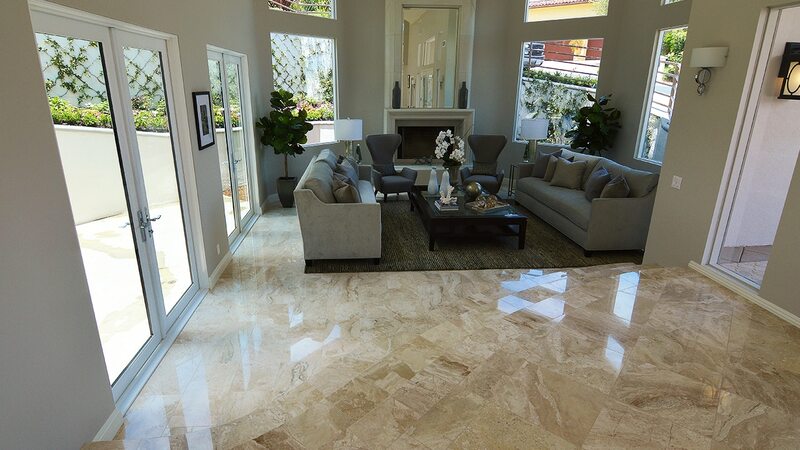 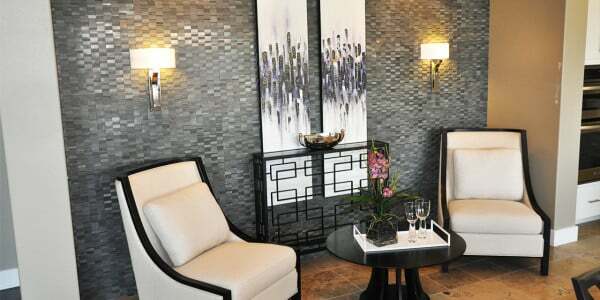 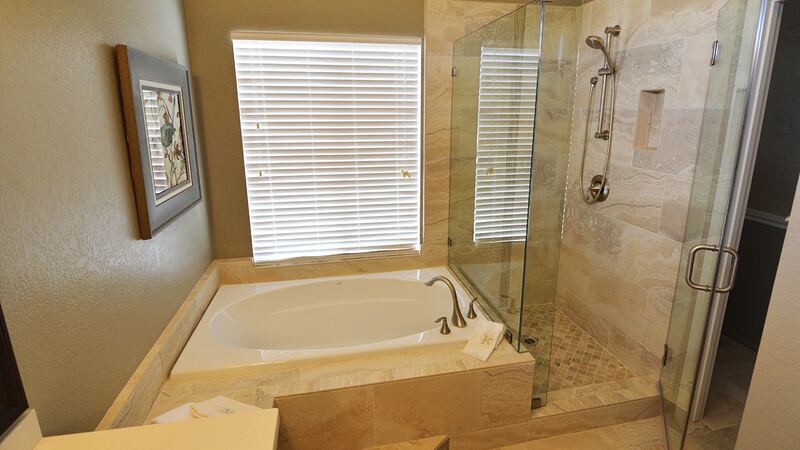 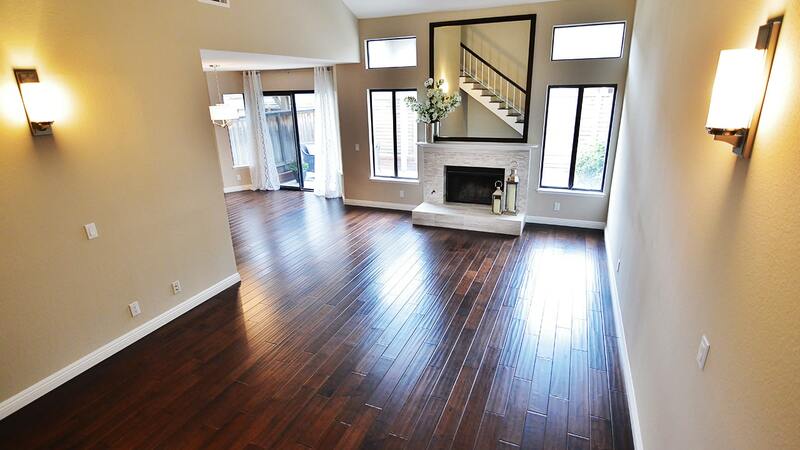 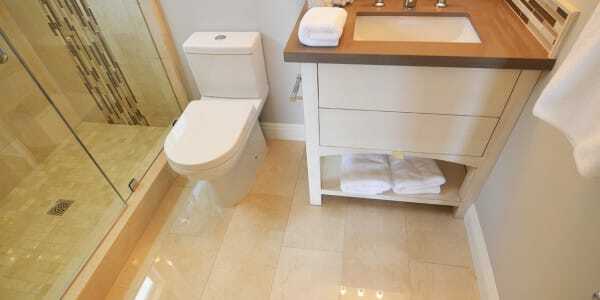 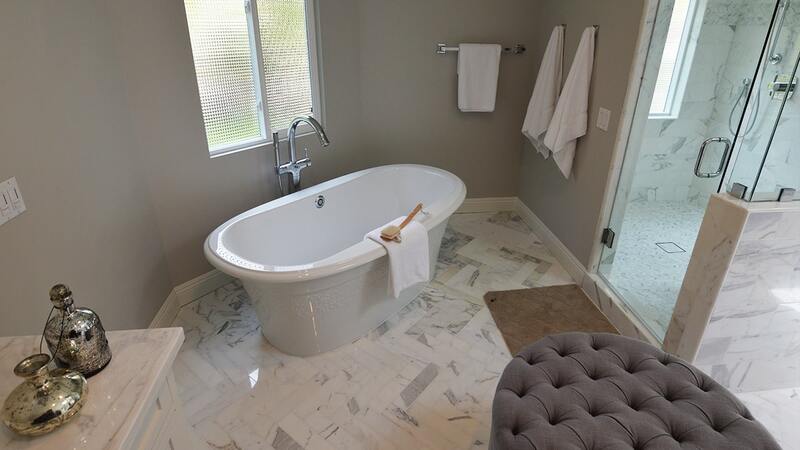 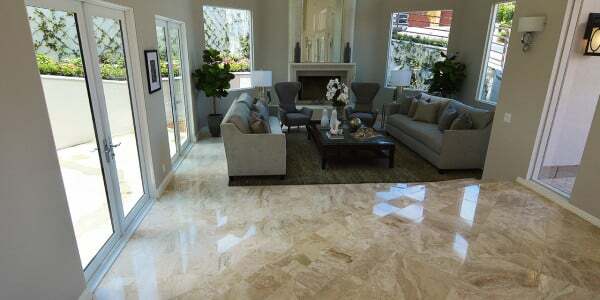 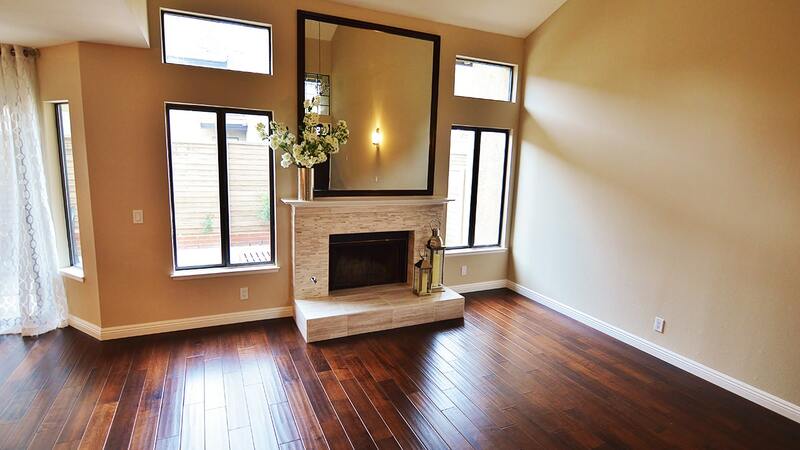 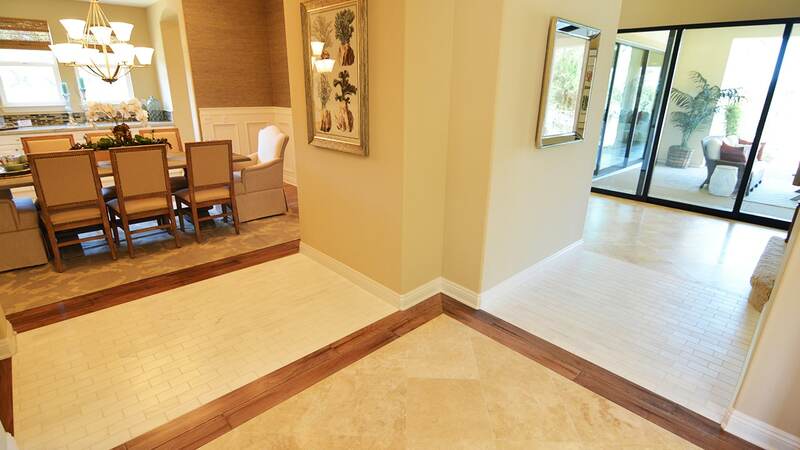 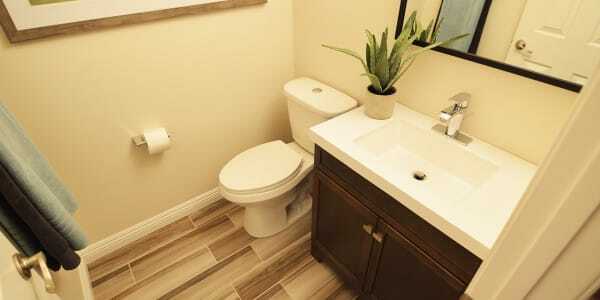 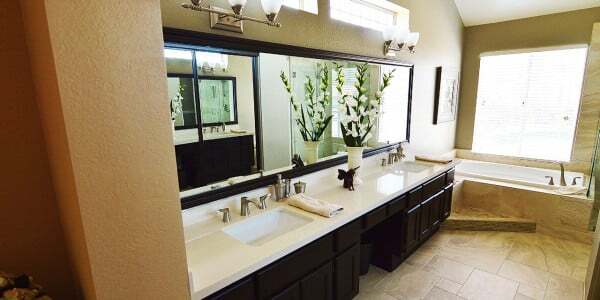 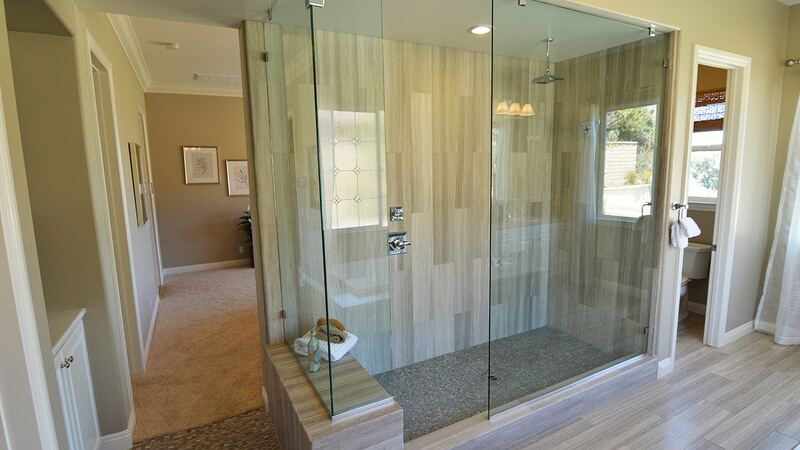 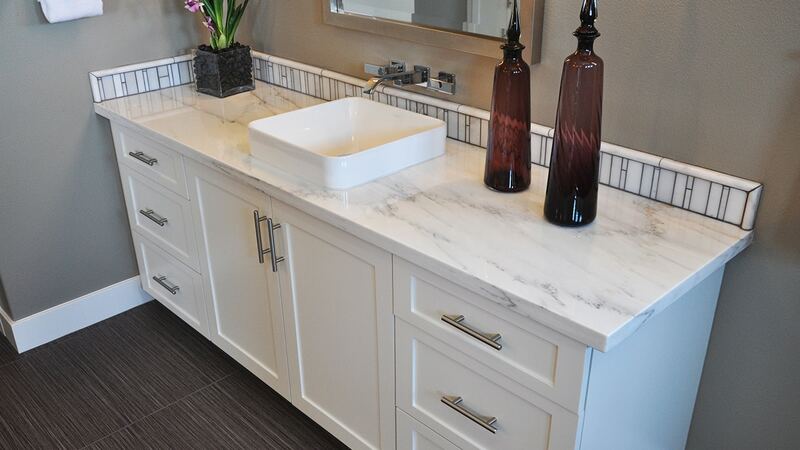 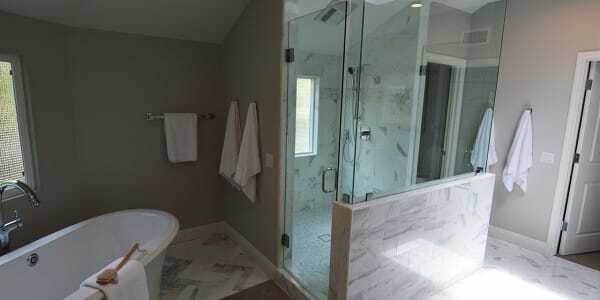 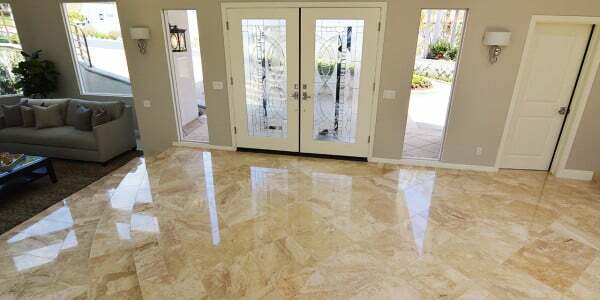 This gorgeous investment property in Glendora incorporates a 12×24 porcelain in the master bath that looks like fabric. 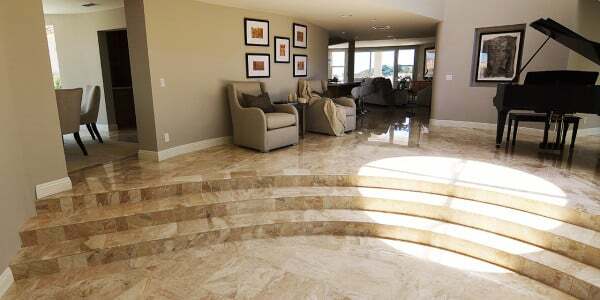 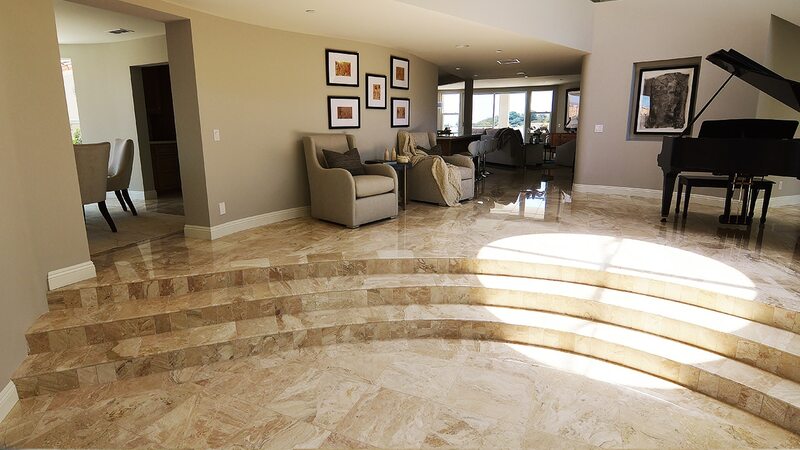 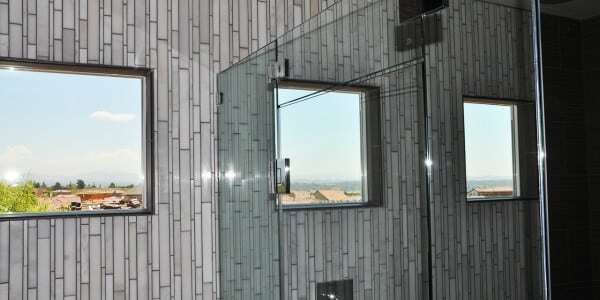 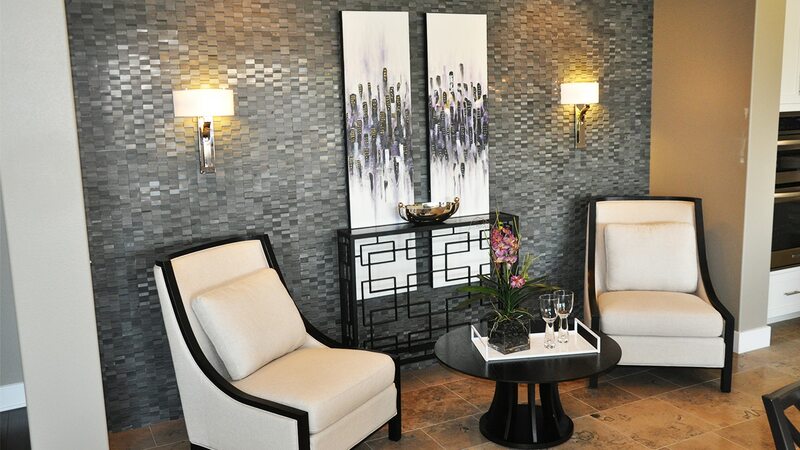 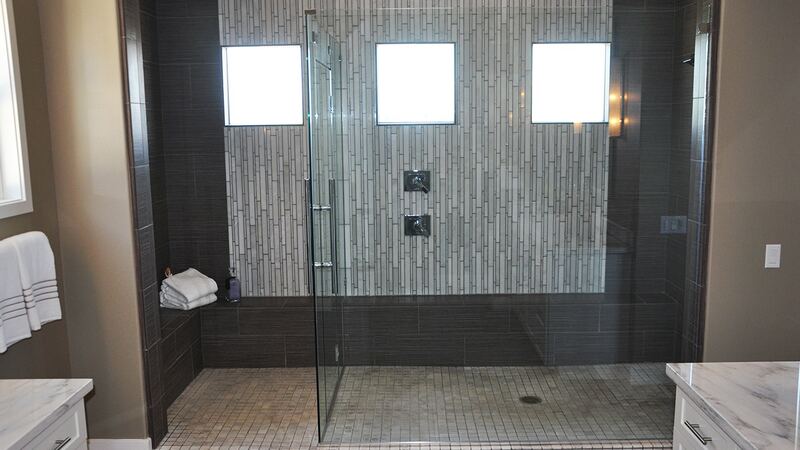 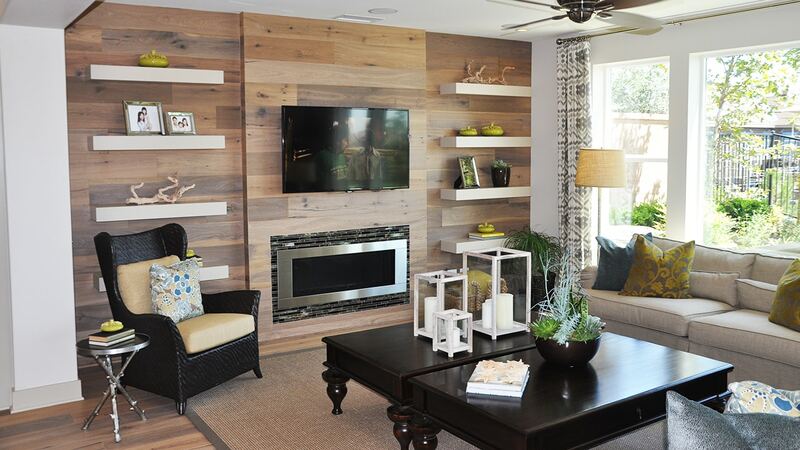 6×24 plank tiles and a band of stone and glass mosaic. 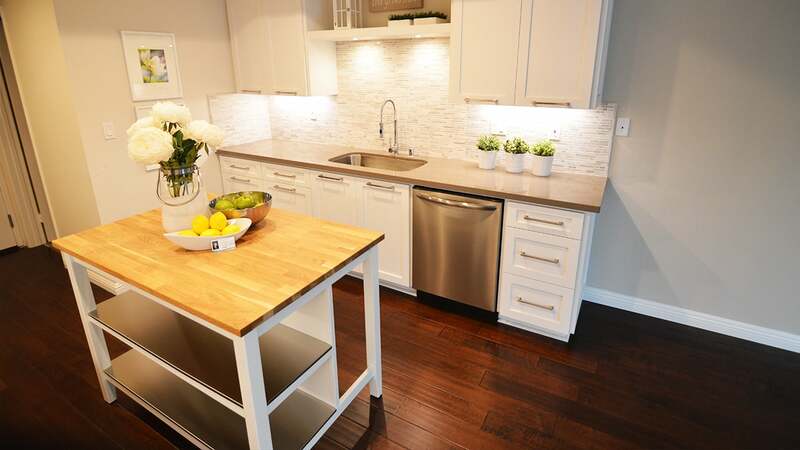 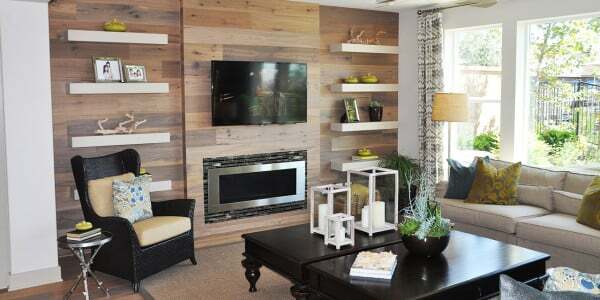 A free standing cabinet is used for a furniture look with open shelving underneath. 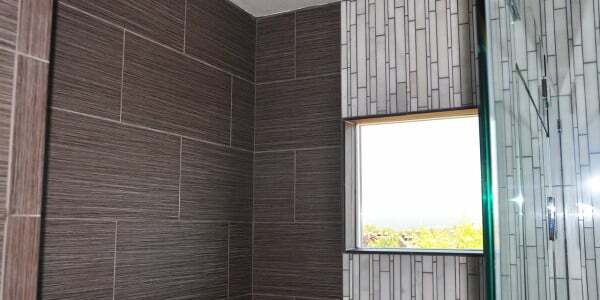 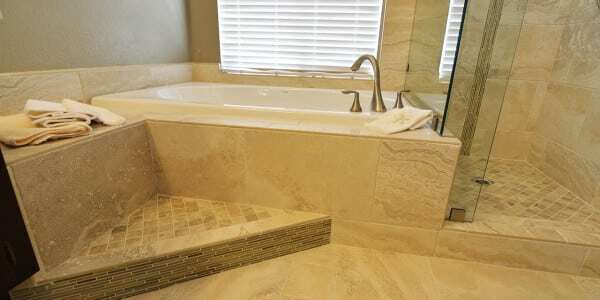 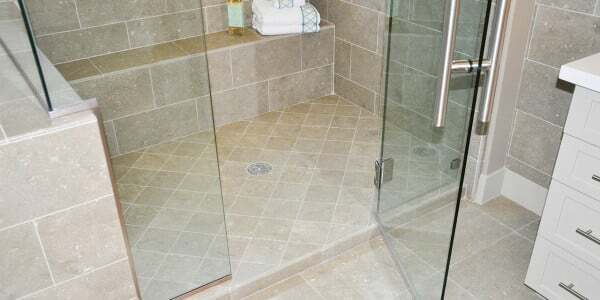 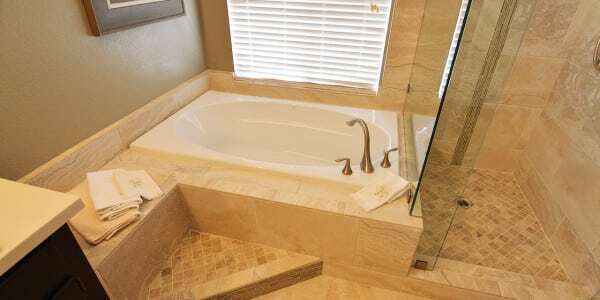 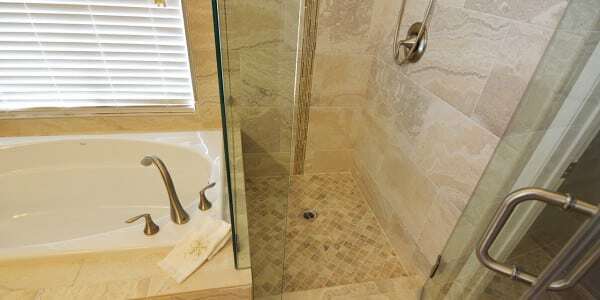 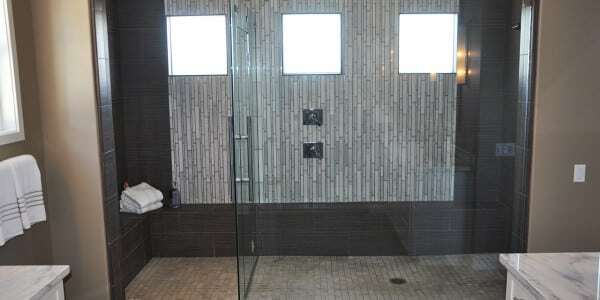 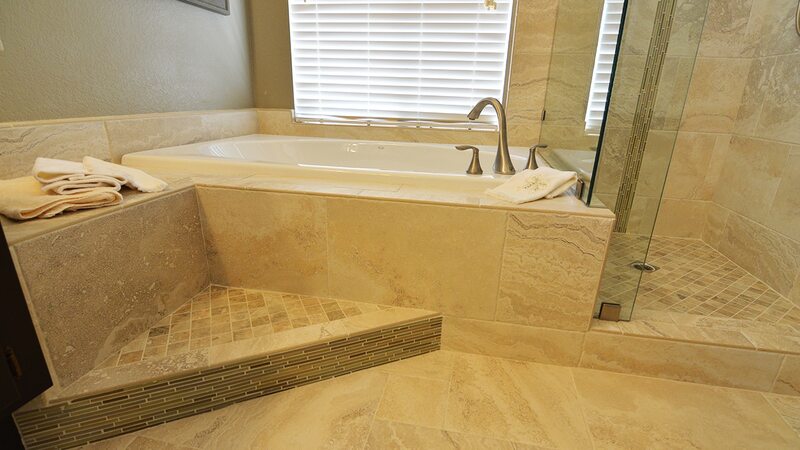 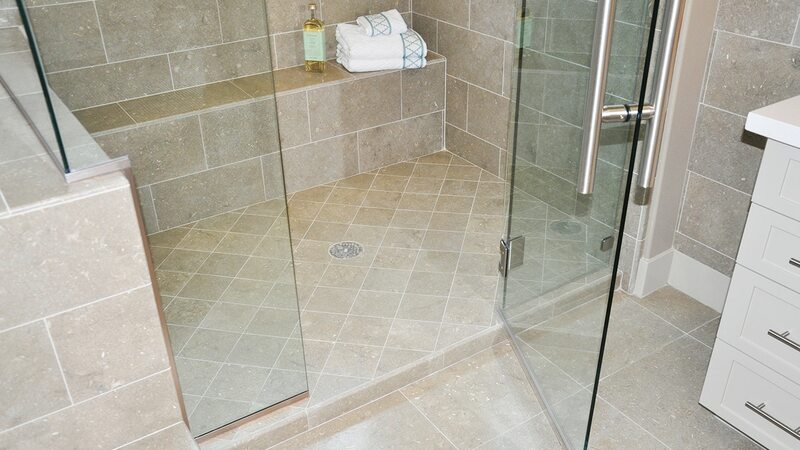 The guest bath done with porcelain 12×24 tiles that mimic vein cut travertine and is set in a brick pattern on the shower walls and on the floor. 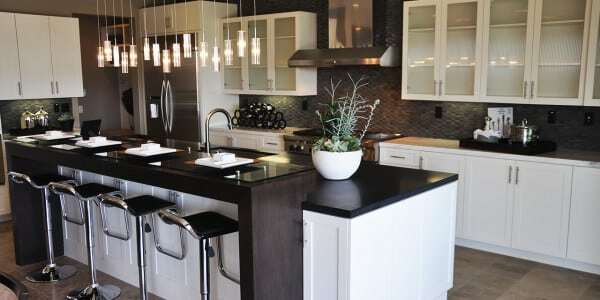 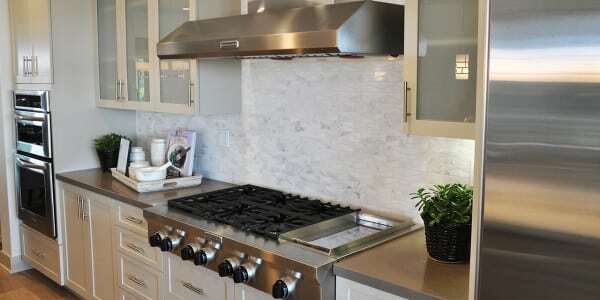 The kitchen is done in white painted shaker style cabinets, dark gray quartz counters and silver beige mosaic travertine to accent the backsplash. 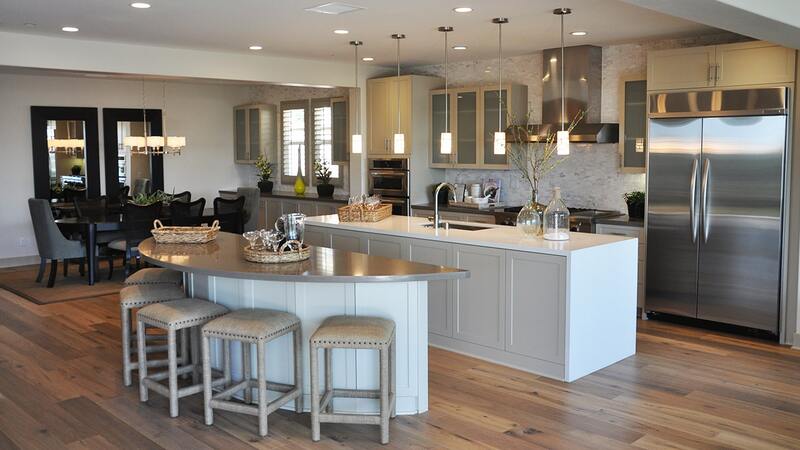 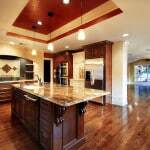 Under cabinet lighting and a custom soffit with lighting provide multiple lighting options. 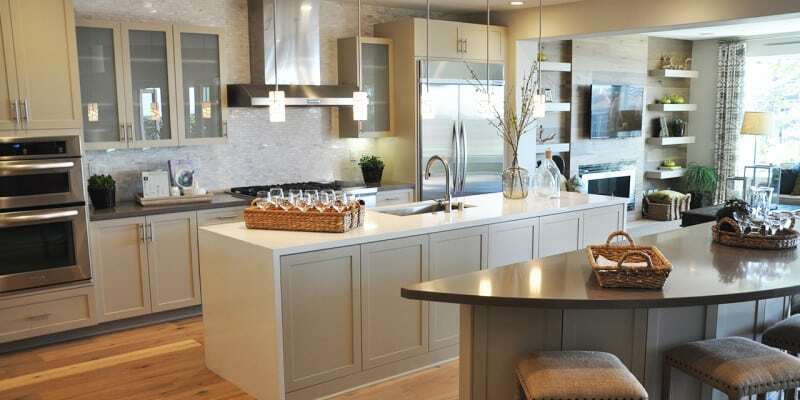 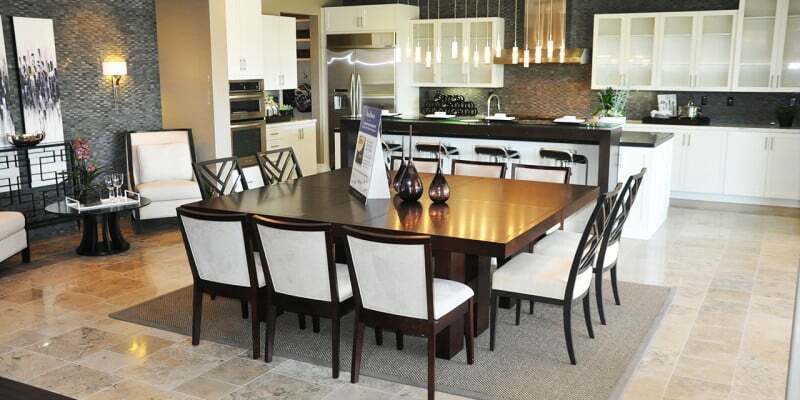 The island is a furniture piece with a butcher block top. 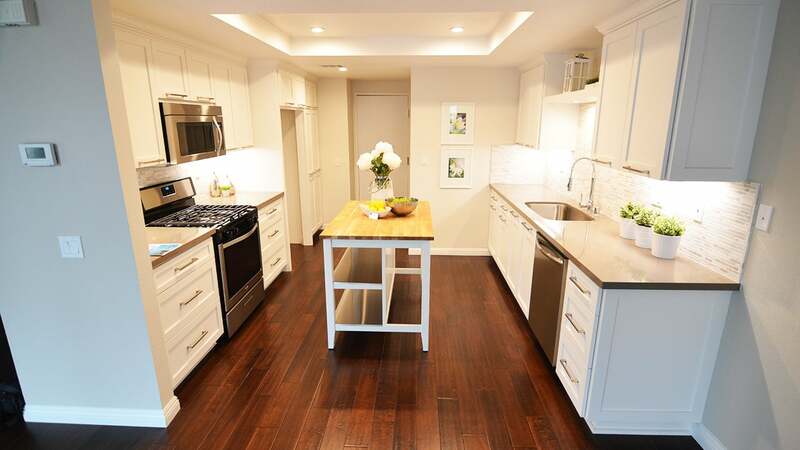 The floors throughout are hand-scraped hardwood and the fireplace is done in the same mosaic as the kitchen splash for continuity.